McColl Center’s Artist-in-Residence Program is open to artists working in architecture, drawing, painting, sculpture, photography, film, video, new media, design, music, theatre, social practice, community organizing, urban agriculture, culinary arts, or interdisciplinary practices. The residency program provides a space for creative inquiry and exploration among a dynamic group of artists, thinkers, and practitioners. 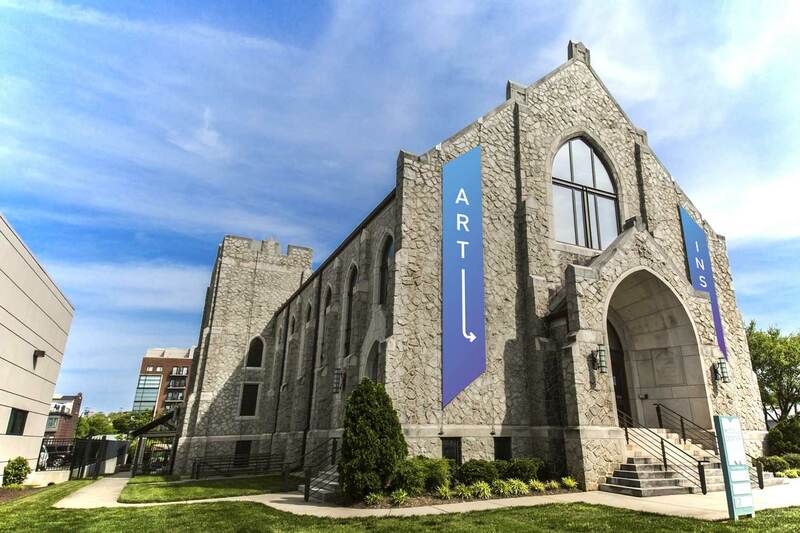 McColl Center annually awards residencies to approximately eighteen artists. Regional, national, and international artists are selected through a combination of open applications, invitations, and solicited nominations. This is for the Winter/Spring 2019 Residency, running from January 7–April 30, 2019. There is a nonrefundable application fee of $35. More info & application can be found here. The Chiaro Award is a fully sponsored artist residency and cash prize for an accomplished mid-career painter residing in the United States. The award is designed to have meaningful impact on the life and career of one artist per year, by both recognizing past success and by fostering their ability to continue to produce exceptional and exemplary work in the medium of painting. Residencies of six to ten weeks include dedicated use of a private studio, chef-prepared meals, comfortable housing, and a cash award of $15,000. The Chiaro Awardee will become part of the dynamic community of artists participating in Headlands’ programs, sharing in peer-to-peer creative exchange while developing his or her individual artistic practice. Fulton County Arts & Culture’s (FCAC) Public Art Program is currently seeking to acquire existing unframed artworks and freestanding sculptures by professional Georgia-based artists for display in Atlanta-Fulton Public Library branches. FCAC seeks artworks that are memorable, thought-provoking, enduring and reflects diverse social, cultural, and historical values. Artwork can be abstract or representational and should be original and suitable for display in a public setting. Colorful, lively, family-friendly imagery, especially depictions of people, landscapes, buildings, interesting locations and activities of Fulton County, are desirable. Freestanding sculptures must be well-constructed of durable, low maintenance materials. All 2-D mediums are eligible, including fine art paintings, prints, drawings, illustrations, photographs, mixed media works, collages, textiles, etc. Small, lightweight 3-D works that hang directly on the wall or which can be displayed in shadow-box frames, will also be considered. Larger free-standing sculptures will be considered as well. Click here for more info. Richmond – 1708 Gallery invites national and international artists working in all media and disciplines to submit proposals for the 11th annual InLight Richmond. Proposals for InLight 2018 should involve, be inspired by, investigate, or interpret themes of light, from light as medium to light as concept. InLight 2018 will take place on Friday, November 16, 2018 from 7PM to Midnight AND on Saturday, November 17, 2018, from 7pm to 10PM, at the Virginia Museum of Fine Arts. InLight is a public exhibition of contemporary light-based artworks—videos and projections, multi-media and interactive projects, sculptures, installations, performances. Occurring during 1708 Gallery’s 40th Anniversary Year, InLight 2018 will focus on ideas of Community. Recent editorials have described two Richmonds. “RVA” encompasses revitalization, creativity and growth. “Richmond” is divided, challenged, and struggling. Artists are invited to consider this dynamic and to imagine an ideal community—ONE Richmond. While existing work will be considered, 1708 Gallery encourages artists to propose projects that consider this theme. For more details about InLight 2018 and to apply, visit 1708gallery.org. The Brookhaven Arts Festival is now accepting applications for artists. The premier art festival in Brookhaven, Georgia, the Brookhaven Arts Festival is in its 14th year and attracts approximately 8,000 to 10,000 visitors. It is a juried event, with featured works of fiber, glass, jewelry, mixed media, painting, photography, sculpture and moreby over 140 artists from across the nation. Produced with the input of local artists and The Brookhaven Community Foundation, the 2018 festival will be held on Saturday and Sunday, October 20-21. The application and more information can be found at Zapplication. Shara Hughes is an artist and native Atlantan now living in Brooklyn. She was included in the 2017 Whitney Biennial and, in 2016, had a critically acclaimed solo exhibition at Marlborough Chelsea. She earned her BFA at the Rhode Island School of Design in 2004. In Atlanta, Shara had her first solo show, “Don’t Tell anyone But …” at Atlanta Contemporary in spring 2013. She was the recipient, in 2012, of a Working Artist Project grant from the Museum of Contemporary Art of Georgia, where she had a solo show in the spring of 2014.